Do you feel unfulfilled in many areas of your life? If so, demonic energies could be holding you back, causing you great harm. Demons are inside us all - to a larger extent in some, to a lesser extent in others. In Shamanism, demons are not evil entities with horns and tail. 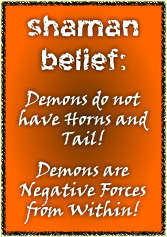 Demons are powerful negative forces from within that prevent you from succeeding in many aspects of your life. Modern exorcism is a shamanistic practice of freeing people from these demons! A Shaman Master can remove your inner demons, and you won’t even know it’s happening. 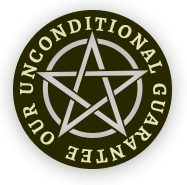 And once liberated from your personal demons, be prepared to experience love, financial rewards and happiness you never thought possible! I was plagued with nightmares, depression, paranoia and anger. I asked to have my Inner Demons exorcised, and on that very day I felt happy for the first time in over a year! I felt like a positive energy was pulsing through me! And I have felt a little better everyday since the spell was cast.